Acne is one of the most frustrating skin conditions, affecting everyone from teenagers to adults. From breakouts to scarring, acne and blemishes can be healed to reveal a soft, smooth, clean, and clear complexion. 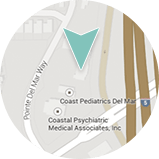 Dermatology & Laser of Del Mar, one of the premier cosmetic dermatology and laser surgery centers in Southern California, offers the most comprehensive and advanced technology in treating acne. 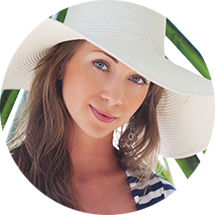 As a leading expert in laser surgery and skin care, San Diego dermatologist Deborah H. Atkin, MD, provides the full range of innovative therapies for acne treatment. There are many state-of-the-art treatments available to create a clear complexion. From topical medications to the most advanced laser and photodynamic light therapies, Dermatology & Laser of Del Mar is committed to providing healthy skin… for life! Smoothbeam™ laser therapy is an effective way to safely treat acne of the face, neck, chest, and back. SmoothbeamTM is the only laser clinically-proven to target acne and effectively shrink sebaceous glands (glands which produce an oil and wax-like substances that can lead to the development of acne). The treatment also reduces acne scarring and stimulates the body’s own collagen to reduce fine lines and wrinkles. The Smoothbeam™ laser offers non-ablative treatment, meaning the laser does not cause damage to the outer layer of the skin tissue. There is no downtime after the procedure! Did You Know?Acne affects more than 96% of teenagers and often continues into adulthood. Smoothbeam™ is designed to be affordable, highly-effective, and safe. You can be confident of its benefits. Board-certified dermatologist Deborah H. Atkin, MD can help you reduce the appearance of acne and acne scarring with this state-of-the-art laser treatment, available right here at our practice. What Makes Our Office Different From Other Practices with the Same Technology? Dr. Atkin will perform every aspect of your treatment. You will not have a consult with the doctor and then have your treatment performed by someone else. Dr. Atkin will personally take the time to thoroughly evaluate your skin and recommend the best combination of laser treatments to achieve your goals. Patients should expect slight redness and may have mild swelling for 15 to 30 minutes after treatment. Although any discomfort during treatment is minimal, topical lidocaine (LMX) – a strong numbing agent – can be used 30 minutes prior to treatment to alleviate any discomfort. Length of Time for Procedure – Depending on the treatment areas, this procedure can usually be performed within 30 minutes. Who Will Perform This Procedure? – Our board-certified dermatologist, Deborah H. Atkin, M.D..
What is the Recovery Time? There is no downtime associated with this procedure. You should be able to resume your normal daily routine immediately after treatment. Final Results of the Procedure – You should notice an improvement in the appearance of your acne within one week of treatment. Results are additive with a treatment series. Other Treatments or Skincare Products that May Improve My Result? Many patients benefiting from the Smoothbeam™ laser also have treatment with VBeam Perfecta® laser for red inflammatory acne and scars at the same visit. You may also notice added benefit by using SkinMedica’s Retinol Complex and SkinMedica acne products. Dr. Atkin has provided answers for some frequently asked questions (FAQs) about Smoothbeam™ laser treatment. If you have a question not answered below, call our office for more information. What is the Smoothbeam™ laser used for? The Smoothbeam™ laser helps treat active acne, acne scarring, and large pores, and can also shrink oil glands and help smooth out fine lines. Is the Smoothbeam™ laser treatment painful? The Smoothbeam™ laser treatment can be a little uncomfortable. Topical numbing cream, such as LMX® (lidocaine), can be purchased over the counter and applied 30-45 minutes prior to treatment. How many laser treatments are needed to see the results? A series of 2-4 treatments, spaced one month apart, is generally recommended. You may see a modest improvement after one treatment, but we recommend the full series for a more complete result. Do you have additional questions? Contact us to schedule a consultation with Deborah H. Atkin, M.D..